Claude Monet, born in Paris in 1840, had a fine taste for the pleasures of the table. 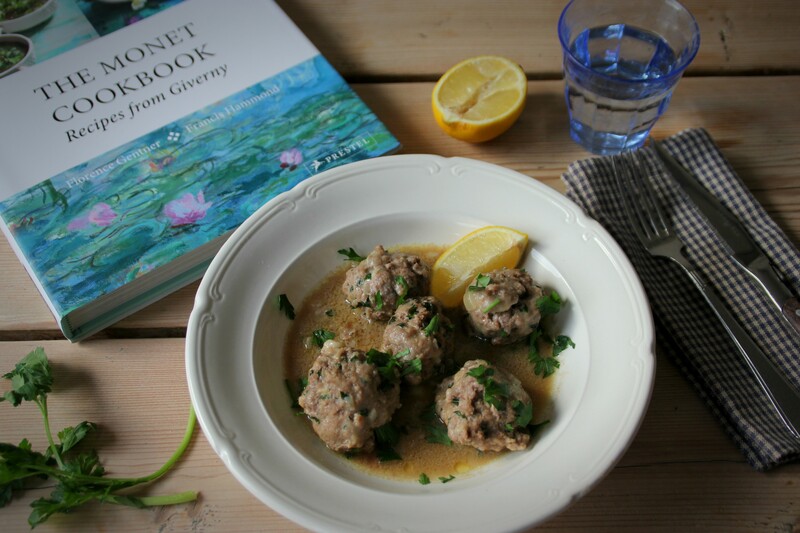 The Monet Cookbook takes us into his delicious world. I am a great admirer of the French Impressionist painter Claude Monet, a man who relished good food. It was at his beautiful home in Giverny — where he ultimately found peace — that he welcomed friends to the spacious table in his yellow dining room and delighted them with the meals he loved most. And while some of those guests were respected painters (among them Pierre-Auguste Renoir, Paul Cézanne, Mary Cassatt and Berthe Morisot), the conversations that took place did not focus so much on art as they did on food. Monet gave preference to simple meals that were lovingly made with fresh, quality ingredients, many harvested straight from his lush and fertile gardens, where not only abundant flowers grew, but all kinds of fruits, vegetables and fragrant herbs. He was a generous host who reveled in seeing those around him having a good time and enjoying their food. 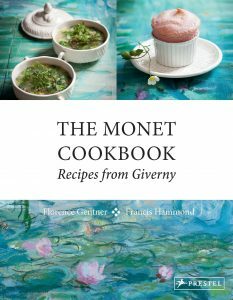 You can imagine my excitement when I heard about The Monet Cookbook: Recipes from Giverny. Eighty of the painter’s best recipes are cleverly brought together in this exquisite book, enticing you with gorgeously photographed dishes that will make you want to head straight into the kitchen with every turn of the page. 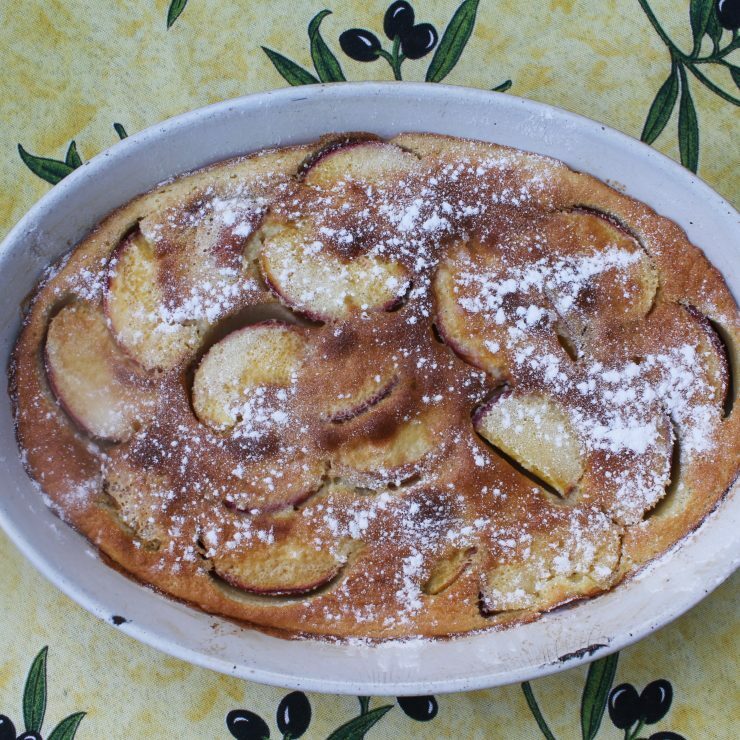 The food is rustic, appealing and alluringly French. 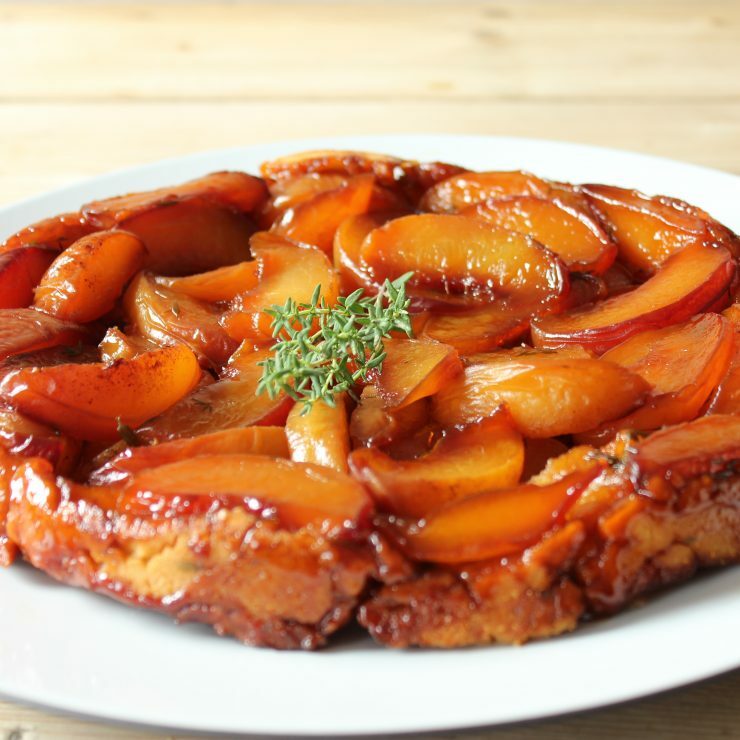 There are comforting dishes that would make excellent family meals (‘Duck with Turnips’, ‘Oxtail Hochepot’, ‘Chicken Chasseur’, ‘Potato Pie’), chic recipes perfect for entertaining (‘Venison with Rosehips’, ‘Gastronome’s Fried Chicken’, ‘Lobster à l’Américaine), delicate desserts (‘Vert-Vert Cake’, ‘Strawberry Mousse’, ‘Lemon Madeleines’) and classics (‘Coq au Vin’, ‘Cheese Soufflé’, ‘Clafoutis’, ‘Entrecôtes Marchand de Vin’). Each of the four chapters opens with a view into the artist’s life, from his childhood to the happy times spent at Giverny, and finally to his death. Generously scattered throughout the book are enlightening quotes that deepen one’s understanding of the artist. Photographs of Monet and his friends and family are also included, and of course, stunning reproductions of some of his works. As a food and art lover, to me, this is one of the most engaging books I’ve recently had the pleasure to discover. I read it cover to cover as soon as I got my hands on it, and I know that I will be cooking from it for a long time to come. One of my favorite recipes so far has been the ‘Veal Meatballs’, an incredibly easy and satisfying dish that goes beautifully with steamed rice. The flavorsome sauce of gently caramelized onions and beef stock makes the meatballs incredibly tender, while a squeeze of lemon adds a little zing. 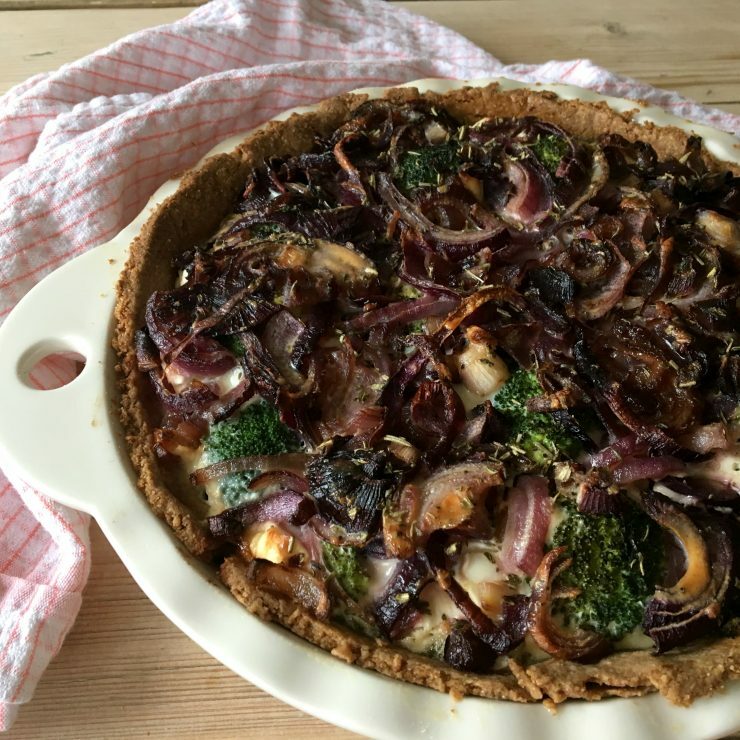 Serve with a smooth Merlot… and Claude Debussy. 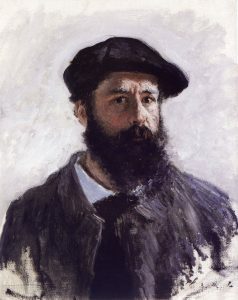 His musical compositions have been compared to the paintings of Monet by critic Camille Mauclair: “The landscapes of Claude Monet are in fact symphonies of luminous waves, and the music of Monsieur Debussy, based not on a succession of themes but on the relative values of sounds in themselves, bears a remarkable resemblance to these pictures. It is Impressionism consisting of sonorous patches.” Debussy himself was a great lover of art and admirer of Monet. Start by making the sauce: peel and dice the onions, heat the butter and oil in a saucepan, add the onions and stew over a low heat until they are very soft and begin to caramelize. Pour in the stock and gently simmer. Keep warm. Soak the bread in the milk, squeeze dry and put in a bowl. Add the finely chopped parsley, the minced veal and the beaten egg. Season with salt and pepper and a bit of grated nutmeg. Shape into little balls, roll these in flour and cook for 10 minutes in the sauce. Flavor with a squeeze of lemon juice before serving.